MV Agusta is a high end Italian motorcycle brand favoured by stars such as Lewis Hamilton – and anyone who joins British supercar club Auto Vivendi in February will get one of its factory-fresh superbikes for free. The £16,000 MV Agusta deal comes as part of the Auto Vivendi MV Agusta membership offer. This package costs £19,950 plus VAT (plus a joining fee of £1,625 plus VAT). And not only do members get the MV Agusta motorcycle, they also get 220 Club points, which they can trade for 20 days of supercar use. The Auto Vivendi fleet currently includes a McLaren 720S and 600LT, Ferrari 488GTB, Lamborghini Aventador S Roadster, Aston Martin DBS Superleggera, Rolls-Royce Wraith and numerous other supercars. All suitable four-wheeled machines to keep company with the free MV Agusta. Members even have a choice of MV Agusta model: pick from the Brutale 800 RR America Limited Edition, Dragster RR or Tursimo Veloce Lusso. To help them decide, Auto Vivendi will lay on a https://www.motoringresearch.com/car-news-list/cars-bikes-british-royal-family/VIP trip to the factory in Italy for a tour and a ride session. Again, this is free. 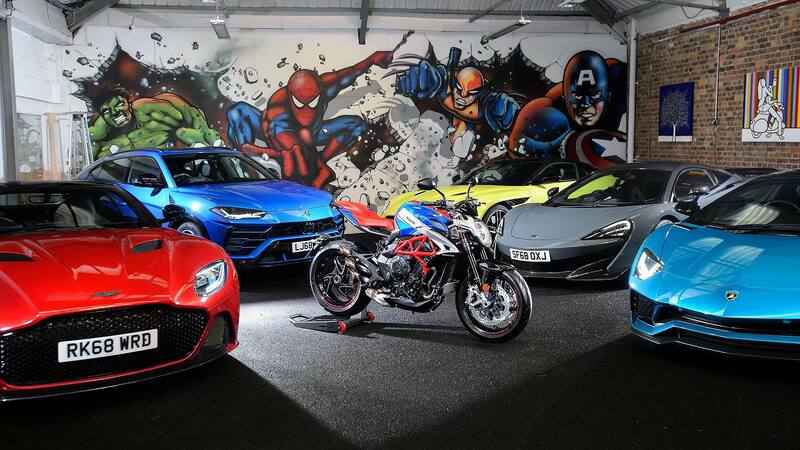 Richard L Thomas, MD of Auto Vivendi said: “From our experience with our current members, we know there is a clear link between supercar driving and motorcycle riding. Auto Vivendi membership benefits include pre-launch events from supercar brands, track days at the Ascari private resort in Spain, and members-only parties. There’s even an ‘out of town’ membership option, which includes delivery and collection of supercars anywhere within 250 miles of London.